BVN change of name in Nigerian bank accounts. BVN issues are very common in today’s banking as it affects Nigeria in particular, the federal government of Nigeria had through the Central Bank of Nigeria CBN, mandated all bank account holders to adopt and get registered on the BVN platform. 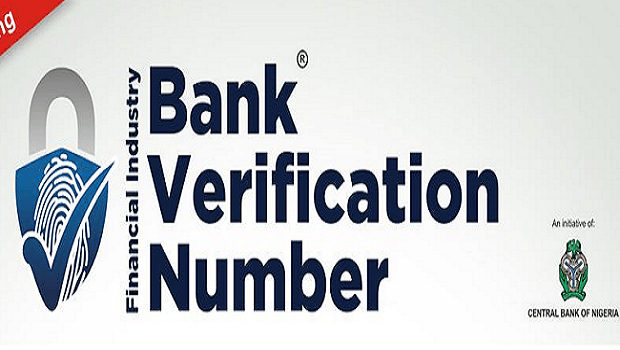 The bank Verification Number commonly referred to as BVN is a biometric identification system implemented by the Central Bank of Nigeria to curb/reduce illegal banking transactions in Nigeria, as well a modern security measure in line with the Central Bank of Nigeria Act 1958 to reduce fraud in the banking system. However, I will like you to feel relaxed and follow me step by step as I dissect these issues in even a more elementary way that an ordinary 10 year old can understand and implement the instructions and guidelines therein. WHAT COULD NECESSITATE BVN CHANGE OF NAME?
. Wrong date of birth.
. As a result of marriage. .BVN CHANGE OF NAME: Irregular names in account-This is a scenario where an account user has varying names in different accounts, being that the essence of BVN is to unite all accounts owned by a customer with a single name pattern, thus the need to change names to a more desired uniform approach. Example: If say Mr Okafor Enest Kingsley has a savings account with Bank A in the aforementioned name, then operates another account with Bank B as Okafor Kenneth Kingsley. He might had possibly done his BVN with bank A in the name order Okafor Enest Kingsley. It’s a matter of necessity for him to take his BVN to bank B for possible link up in his account, CBN’s provision is that the names at different banks must maintain a single profile, that being said you then observed that the name Okafor Enest Kingsley with bank A does not really matched with Okafor Kenneth Kingsley in Bank B. This will certainly mean that there must be a BNV name change to have a successful BVN link up to the account. This approach was adopted to reduce fraudulent transactions by customers who present different names at different banks to carry out whatsoever transaction. .BVN CHANGE OF NAME: Wrong date of birth- It has been observed that account users either intentionally or mistakenly provide false date of birth during account opening, this usually go a long way to affect such customers when the need to link their BVN’s arise. It’s hereby pertinent to pay attention to details while opening accounts. .BVN CHANGE OF NAME: As a result of marriage- This often times occurs when a lady gets married and probably starts bearing her husband’s name. Some things have changed. Her surname name will have to be change to that of her husband. She might go ahead to open an account with the new name in a separate bank other than where she had her pioneer account. She will not be able to link up her BVN to such account because of irregular name, thus BVN change of name becomes necessary. However, if you have any of these problems listed above there’s a solution to it. I know you might have been denied access to your funds at different times and I imagined the boiling rage in you at those times. .BVN CHANGE OF NAME: Do a newspaper publication with the correct name accompanied by an affidavit-This is usually applicable to the male folk and single ladies who carelessly used varying names at different banks for account opening. Go to a court of competent jurisdiction and get an affidavit with the preferred name, the name should be published on a national daily then get a copy of that publication for bank consumption. That’s all. .BVN CHANGE OF NAME: Marriage certificate and newspaper publication- This category is strictly for married ladies who would had stopped using their father’s name and have adopted their husband’s name in account opening. In cases like this you are required to provide your marriage certificate bearing the now preferred name and an already newspaper published copy. They could require an ID card at some cases. We have another scenario mentioned above which could involve date of birth. In a case where a wrong date of birth is being captured while filling account opening package, BVN cannot be linked to such accounts provided another account exists in another bank with a different date of birth which gives birth to the available BVN. .BVN CHANGE OF NAME: Affidavit and ID card with the correct date of birth- You are required to produce an affidavit and ID card with the correct date of birth as mentioned above to effect the process. You can correct your BVN name as deemed suitable, but remember you’re expected to have an ID card that must conform to the name you wish to be addressed with. Go to court of competent jurisdiction with a suitable ID card and obtain an affidavit. Publish same in a national daily/newspaper for a token, buy the paper and forge ahead to the bank. You will be given a BVN correction form to fill alongside a customer information update as the case apply. Once everything is certified Ok, your BVN change of name will be effected in less than 24 hours. This question how to change number on BVN has been a reoccurring one among my readers and I think I should address it here once and for all. Put it in record that you cannot change a BVN number, not even the bank can change a BVN at this time. The apex bank CBN has not given any room to change BVN number at the moment and it stays at that. You have only one chance for a BVN number, once enrolled, you can only correct name, however the number remains the same as a unique identity for every customer to avoid identity theft. BVN error correction is not far from BVN name correction, date of birth etc as the case may be. Any irregularity perceived on BVN that will not allow you to access your fund in the bank as associated with BVN is a BVN error that must be corrected for effective transaction to take place in that account. Like I noted earlier, a BVN correction form is one of the instruments made available to you in the bank to complete or fill while trying to effect your BVN change of name, correction of date of birth as the case may be. In effect, BVN correction form is a paper or form to be completed as an instruction to the bank to go ahead with your request to change whatever it is on your BVN. BVN date of birth correction is one of the most sensitive errors that needs to be regularized for a customer to access his/her funds. Refer to the scenario above on why you could vie for correction of date on birth. If during account opening you by whatever reason supplied a wrong date birth in the account opening form and they went ahead to open the account, you cannot link your BVN to such account if it has a contrary date of birth against the bank account itself. Visit the court, swear an affidavit preferably with your passport photograph showing on the affidavit, make sure you go with an ID card containing the correct date of birth. Bring back same to the bank who should honor it, to then link your bvn to your account after necessary corrections in less than 24 hours. BVN data refers to your first name, middle name, last name, date of birth, address etc as contained in your account and BVN relatively. The process of BVN change of name or correction, correction of date of birth etc is referred as BVN data update. How many times can I change my name on my BVN profile? Hello Seun Paul, thank for stopping over. first and famous, you have only one opportunity to be created on BVN platform so as to generate a BVN number as the case may be. Why did you opt to change your name on the BVN profile in the first place? If it’s for usual reasons, it’s then expected that what ever name you choose to adopt and might institute on a name change initially should apply to all your bank accounts in different banks if you run different accounts. What this mean is that the name used in Bank A should apply to Bank B and the list goes on. The bank will not tolorate subsequent amendments on your BVN profile as it simply waves a red flag on your person, thus amounting to integrity issue. Thank you sir, i wish to close my account in first bank and open another one in another bank, and like to use new bvn, am i allow to do so? i dont wanna use the old bvn again. Why would you want to close your account with First Bank? I respect whatever your reason could be, but just to let you understand that you can sought it out with them. If you have issues with your name on the BVN why not follow the listed procedures above to get it resolved. If it’s service issues fine, you can still open another account with another bank with the same BVN. Sorry enough, you have only one opportunity at this time to be enrolled on BVN PLatform as directed by Central Bank of Nigeria, which you’ve exhausted having being issued a number. Kindly state what the problem is here let me advice you on best way to level it, thank you. Thank you for this information. I opened account with diamond bank many years ago and recently I opened another one with GT bank, I deposited into GTbank account, to withdraw the money becomes problem because of my BVN name with diamond bank. I was ask to go do publishing and affidavit and id card which I did. To change the name now becomes problem, was told that the voters card is a temporary card that is not useful now…..Don’t know what to do…am a student of UNIBEN and I have some bills to pay with the money….What can I do? Thank you very much for stopping over Emmanuel Maxwell. From the look of things it appears your BVN was not linked to your GTBank account immediately it was created otherwise this issue would had been averted. Besides any reasonable officer should had required for your BVN first ever before allowing you complete the account opening package, this is to ascertain if there’s any disparity between your ID card and the name on your BVN. In essence, the bank should ordinarily consider your name correction without the PVC since it contains the name on your account and that in the article of affidavit sworn and published. To resolve this, kindly walk into any GTBank branches and require to be enrolled on the NIMS National ID Card, the process is swift and should be completed within 24 hours. Ensure you supply the right name sequence as contained in your BVN. You can also access NIMS ID Card in any nearest Local government headquarters to you. Get me posted on the development while you commence the process so I can assist you further. i open an account in uba with my father surname, and i open another account in first bank with my mother surname, which means that i use different name and different id in the banks, so i was given bvn number in first bank with my mother surname and my account in uba have blocked or pend. so i wish to change my account and bvn name in first bank, but the procedure is very high to my task, thats why i wish to open account in another bank with wish name and new bvn, so i may have rest of mind, cuz my account in first bank is dormant, i hope all is gone, am i allow to open another account in another bank with new bvn? Kindly share with me the procedures or condition given to you by the bank so as to correct your name. However, you’re entitled to only one BVN. Once your BVN has been corrected in first bank having gone through the affidavit and newspaper publication process, you can open a new account with any other bank you so wished. But remember to use the name on your BVN as contained in your ID card, while opening account with other banks to avoid going through stress again. Sir, like how much can newspaper changes of name publication cost together with the affidavit. Hello Balogun, thank you for stopping over. The newspaper publication should cost within the neighborhood of N5,000 depending on the newspaper though. Lesser authority dailies will cost less! For the affidavit just hold about N1000 while going to the court, ordinarily you shouldn’t pay a dime. Hope that helps? What of in a case where by I changed all my name to a different names entirely. Like for example: I was formally known as Nnamdi Chris Brown but now choose to bear tochukwu Emeka would CBN approve the new name and change it? Hello Emecha, thank you very much for visiting and for your question as well. To your question, if you have a valid and verifiable ID card e.g (PVC)Voters’ card, Passport, NIMS National ID and Driver’s license which contains the name you now wish to be address as. It’s doable. However you’ll need to present a court affidavit reorganizing such name as well proceed for a newspaper publication. 1. Valid ID card containing your new name you wish to be addressed with. 2. Court affidavit containing a recognition of such name by a court of competent jurisdiction. 3. Newspaper publication of such name. Hope that helps? What if after this, the change is not effected what is the next step? A change will most definitely be effected on provision of supporting document. In event it’s not effected, you’re to be communicated promptly and would be required to regularize asap. Hello Mike,thank you for visiting. The truth is that debit cannot be passed on any account without BVN. That’s the standard. closing your account is a choice, but getting the fund in your account is something else without BVN being linked, refer to my comment above. I will advice you to solve whatever the problem is with your account first then you can close it and withdraw your funds successfully. Now level with me what the real problem is, let’s see how I can help you out. Thank for you creating this platform to educate us on issues like this.i cant explain how i came and acrossd this site bt what matter is that i have arrived here. I have problem with my BVN & tried all possible ways to change my Bvn e.g from ALHAJI NUHU to SALISU AHMODU ISAH but all to no avail after provided all supportive documents.First bank said they dont do change of name like this..Please Can i close my 2 banks account and open new frensh BVN? To put the record straight, you can only change or correct your name on BVN and not the BVN itself. May I know the documents you provided for the aforementioned change of name which first Bank happens to turn down in pretext that they don’t do change of such nature. 1. A complete acceptable ID card bearing SALISU AHMODU ISAH which could be permanent voter’s card PVC, NIMS national ID card, International passport or Drivers’ license which are capable of being verified on the bank’s verification portal. 2. You should be able to go to a court of competent jurisdiction and get an affidavit containing the same name you now wish to be address with. 3. Proceed to do a newspaper publication and announce to the general public you’ve changed your name, buy the same news paper. Then proceed to the bank with the above mentioned particulars, they should be able to attain to you. You cannot have another BVN, you can only enroll once which you’ve done. Let me here from you. please i had a recent issues with a particular account of mine, which i’m not licence to make a withdraw from it, due to an error in my name spelling when registering for my BVN and this complain has not been reviewed to me until this date when i really want to run a transaction for my travelling documents. Now im stranded, not knowing what to do because the Bank which i registered my BVN from has now recommended me to go and request for an Affidavit on change of name. but i have few time to complete my transaction from now. I want to believe that you abandoned this account otherwise you would have been communicated on the BVN name disparity as you suggested. I also want to believe that BVN has not been linked to this account, however there’s only one way out in this issue. Kindly visit a court of competent jurisdiction and obtain your affidavit as advised, won’t take you a whole day, just few minutes probably an hour. To make it faster motivate the court clerk/attendant. In any case, you can write the embassy responsible for your travelling to keep them abreast while you meet up with this demand, but you can actually beat time if only you make up your mind to follow the laid down directive. Hope that helps? Banks could be funny at times… they allow you to open an account without verifying BVN to tell the customer if it (BVN) has issues or not… they allow customer to open and even make deposits in account. Coming to withdraw the money they begin to say BVN bla bla bla. Thank you very much for stopping over Dr Nwachukwu Raymond. I understand how you feel, but the good news is that the issue you’re battling with is a lesser one. 3. NIMS National ID Card. Any of the above ID cards you choose to provide must contain your name Nwachukwu Chinedu Raymond as the case apply. With this your BVN name correction will be executed. Good afternoon, my problem is this recently I applied for birth certificate with the name Okonkwo Mary Lynda Chinenye. then I wanted to open an account in another bank and I was told I can’t because the id card i provided is not in line with my bvn name. I went to gtb where I did my bvn to complain and I was told to bring an id card bwaring my bvn name Okonkwo Mary Lynda. but i have no id card with such name, the id card i have bear Okonkwo Lynda Chinenye. I have no idea what to do. because I want my name to align with my birth certificate name. Thank you very much for coming here Lynda. The challenges you’re going through is not an unusual one among Nigerians and banking. However your complaints sounds a bit confusing, but I tried to understand that you’re in need of an ID card bearing the name Okonkwo Mary Lynda. To get the ID card, kindly walk to any local government headquarters and apply for a NIMS national ID card with the name you intend to commence the BVN correction with. You do not write affidavit yourself, kindly go to any court of competent jurisdiction to swear an affidavit. Note: The affidavit should contain the name on your regularized ID card. Hello Oluwakemi, thank you for being here. Which ID card was required of you while opening the account? Which of the dates is your correct date of birth, the one on the BVN or the account opening package? You will however need to visit a court of competent jurisdiction to swear an affidavit on your real age. Then take it to the bank and have them regularize it accordingly. I used temporary voters card to open account today in fcmb, my date of birth on bvn was 1990 while my correct date of birth is 1988,but I have original certificate date of birth With Me. Take that original certificate and your ID card to the court and get an affidavit, then hand it over to the bank. That does it. In my Gtb acct I use my Isaiah Ewoma Victory. Later I opened a zenith acct with Okolosi Ewoma Victory. Then Then I told to bring my Bvn Number which I did a later find out that the names were not the same. 4. A letter to the manager for change of name. 2. Can I closed a Bvn Name and open a new Bvn name. 3. Can I do another Voters card bearing Isaiah Victory instead of Okolosi Victory. I’m sorry my response is coming a bit late. 1. Why bank will always advice on newspaper publication in this regard is to certify an aspect of law, which demands that the bank cannot be held responsible for any thing arising from the said change of name. Being that you have obtained a legal back up which is affidavit, it’s hereby additionally convincing for the bank to act being that it’s been published on a national daily as notary public. If you choose to be involved in a fraudulent transaction tomorrow, the bank can be exonerated to an extent as the case may be having done proper documentation on you. 2. Sorry to tell you that you cannot close your BVN in Nigeria at this time. CBN has not given that room. You’re entitled to only one BVN at the moment and the practice is expected to stay at that. 3. You have the right to get any ID card you can afford with any name you so wished. But bear in mind that it’s however in your own interest to use a name that will enable you access your bank account. What I mean here is that, do use a name the bank might have advice on as it concerns your BVN, suitably use a name in conformity with your Bank details so that you can put BVN name challenge/correction to rest. Please Sir When You Change The Name In Your Bvn Does It Also Reflect In Your Account Name? How Do I Know If My Bvn Name Have Been Rectified. I Submitted The Necessary Documents And They Said 48 Hours It Would Be Corrected But Till Now My Normal Account Name Is Still Showing. Is It That The Bvn Name Can Work Differently With The Bank Account Name. And How Do I Know If This Problem Is Rectified. Thank You.. Thank you so kindly for stopping over. The general rule is that the name on your BVN should be the same name on your bank account. It shouldn’t take up to 48hrs to effect your change of name, that’s laxity on the part of the bank, they shouldn’t treat you like a no body, demand to see the operation manager and communicate your predicament. The BVN can not work differently from the account name, however if the correct name is what you have in your account, it won’t change, it therefore stands that the name on your BVN should change. But my National ID and Voters card already bear Eze Amaka Sandra on them. I just finished my tertiary education and would be going for nysc soon and I was told I would need my bvn details there. But the name on my school details are Eze Chioma Sandra. So I want to know if and how I can add Chioma to my Bvn. I want to believe you have a valid ID card that bears Eze Chioma Sandra? If yes, your problem is half solved. Visit your bank branch and commence your name correction, remember to go with the supposed ID card I asked for above, your sworn court affidavit of name change inclusive. You will be required to fill customer information update form because your account name will be corrected as well to suit your new preferred sequence. They may also require a newspaper publication from you as the case may be, they may wave it if they deem not necessary depending on the policy they’re operating with, which will often times demand you have it. That’s just it, let me know how it goes. Good evening Sir, the names on my BVN is Lida Boma John but on my documents, there is Lida John. Is it must that the names be consistent with what is on my documents. However your document is a different case depending on what you could be using it for at present and future. You cannot be denied transaction of any kind because your document do not contain all the name(s) on your BVN. But if need be, you simply back your document up with affidavit, that’s just it. is it possibble to abbreviate a name when opening a bank account? for example my name is eshikwe chukwudi daniel, now i want to abbreviate that chukwudi to C so that that my bank name will b ESHIKWE C. DANIEL. my bvn name is ESHIKWE CHUKWUDI DANIEL.. is it possible ? Thank you very much for visiting this blog Chukwudi. You see, abbreviation of name while opening a bank account is not always advisable. However, if you must abbreviate, do not abbreviate your first and last name. I.e your first and surname as many will choose to call it. Abbreviation should apply to your middle name. However, if you have a BVN with your complete name not abbreviated, kindly open an account with your complete name as contained in your BVN to avoid stories while linking your BVN to your account. i want to know if a name can be abbreviated when opening a bank account, for example my name is eshikwe chukwudi daniel and i want to open an account with name eshikwe c daniel, how possible is it though my bvn name is eshikwe chukwudi daniel.. Thank you very much for visiting this blog Chukwudi. You see, abbreviation of name while opening a bank account is not always advisable. However, if you must abbreviate, do not abbreviate your first and last name. I.e your first and surname as many will choose to call it. Abbreviation should apply to your middle name. However, if you have a BVN with your complete name not abbreviated, kindly open an account with your complete name as contained in your BVN to avoid stories while linking your BVN to your account. Hope that helps? hello, my bank accounts bear Precious Okuboere Azi, first name is Precious, middle name Okuboere and Last name Azi. But my BVN is Precious Azi. I was asked to swear an affidavit and make a newspaper publication for addition of middle name to my BVN. My valid ID I have has AZI, Precious O. Is it possible to use this ID? Thank so kindly for stopping by. Yes you can use the ID Card. Abbreviation of name is acceptable for middle name only, however not allowed for first and last name/surname. That does not constitute a problem, the bank will address that if necessary. You’ve done your lot, so be calm. From your statement I understand that the both accounts have different surnames. Your father’s name and your husband’s name. As it stands, you want to link your BVN to your account with Access bank. First of all, you will have to apply for a change of name officially. Kindly visit a court of competent jurisdiction, swear an affidavit for change of name and date of birth and publish it on a national daily, then buy a copy of that newspaper and take it to the bank. Don’t forget to include your correct date of birth as contained in your BVN in this affidavit. With this, the bank will correct the name on your BVN, as well correct date of birth. Finally your BVN will be linked to your account so you can access your funds, hope that helps? I must say, this is a very difficult situation you have here. Why would you like to change the entire name? The bank will most certainly not honour such request. However, if it’s on issue of withdrawal, the bank can afford to raise a draft for you to access your fund if it’s OK by them. You have really been through a lot judging by your complain,I understand how you feel, it’s a pity you’ve been through all these. However, your birth certificate do not stand a chance for name correction. For the NIMC, what exactly is the challenge/error? Let me know, you can as well visit any local government headquarters to get yourself profiled for national ID card. Once you have an ID card which complies with your name, the correction will be effected. Kindly visit another bank to commence your ID card registration. The issue could be from their printer or rather avail you the ID number since they can’t print, let’s see how to help you print. Better still visit a local government headquarters as suggested earlier. For the voter’s card, you can only use the PVC at this time. Go back to where you enrolled and collect your PVC before the end of January, they’re giving it out at this time prior election. You’ve got to try first. As well thank you for the initiative, however this is just a futile thought. You cannot have more than one BVN. REASON: While being profiled on the BVN portal for the first time using your account and ID details, remember your finger prints were captured on the system. It then implies that once you want to enrol elsewhere using different particulars as you suggested, the portal will po-up or capture your existing details once you place your finger on the biometric tray, thus enlisting you as having been profiled. If it were that easy to manipulate, no body will have BVN issues. Hope you’ve been cleared. Hello Abdul, Thank you for being here. As well thank you for the initiative, however this is just a futile thought. You cannot have more than one BVN. REASON: While being profiled on the BVN portal for the first time using your account and ID details, remember your finger prints were captured on the system. It then implies that once you want to enrol elsewhere using different particulars as you suggested, the portal will po-up or capture your existing details once you place your finger on the biometric tray, thus enlisting you as having been profiled. If it were that easy to manipulate, no body will have BVN issues. Hope you’ve been cleared. can one change his or her NAME on the BVN MORE than ones? Why would you want to change the name or correct the name on your BVN again, having done it before. Besides, how did you arrive at the ID card you want to start effecting this process with? NIMS will frown at this and your BVN could be blacklisted as a result, because all the changes and corrections will be raising a red flag, they’ll assume. However, contact your bank and see how you can sought this out, but it will most likely not fly. I have a gtbank account with the name Odimayomi olayemi tosin but will like to change it to Omoyeni olayemi tosin due to marriage and also my date of birth . My question is will I update my Gtb account and also my BVN details. I have int passport containing my new name, birth certificate,newspaper publish and marriage certificate. Thank you so kindly for being here. 1. You will have to update your BVN by providing your bank with every supporting document including your now verifiable international passport. 2. Your account will have to be updated. Your bank will do this by availing you a customer information update form, which you’re required to complete with your now preferred details. Your international passport will as well be required alongside court affidavit upholding your new name and relative notary public. Age declaration should be included where necessary. i opened an account with diamond bank and the account official made a mistaken in the spelling of my name which is suppose to be Emmanuel stephen chinonso but she wrote chinonso steven emmanuel, i also noticed the same name (chinonso steven emmanuel) was used for my bvn since i registered the bvn with their bank. Your problem is a lighter one, if I understand you right the transposition of your name was actually their fault and not yours. Since you have an ID card with the right sequence of name you wish to be addressed with I assume, kindly visit the bank and ask them to effect this correction. Be prepared to fill a form in this regard. Go a long with your ID card, they should be able to effect this change within 24hours. Please sir i used to have an account with diamond bank with different name entirely…But i did my BVN with first bank with my correct name and ID. Could this create a problem for my BVN..like my BVN been blacklisted?? Since i have not link the old diamond account with my BVN but the same mobile number exist on both bank account. Your BVN cannot be blacklisted for not linking it up with your Diamond bank account, NEVER. The truth is that Diamond bank will not by any means link your BVN to your account with them because the name is outrightly compromised. But for safety of the BVN, no body is blacklisting it except if by any means your passed, present or future action says otherwise. You can as well forget your account with Diamond bank because you can’t achieve outright change of complete name on BVN for now. Hope that helps? What actually is the problem, which of the names do you want to adjust. If it’s the name on the account, then you will have to fill in customer information update form. You may be required to file for an affidavit as your bank deems suitable. My first bank account is dormant but they ask me to update my Bvn information can it possible as the account is dormant? Thank you for being here, your bank will have to reactivate your account. Just make available necessary documentation for the process. Your ID card, utility bill and possibly may fill fresh account opening package as obtainable in some banks now. Your BVN information will as well be updated afterwards. Hope that helps? sir, i did my bvn registration at ecobank but i did not finish the whole process of opening an account with them but i later on open an account with Gt-bank and i have issues with my first name and the middle name.for instance the name i used was Daniel john and when i did my national identity card the names i used was John bright Daniel.i thought a new Bvn will be sent to me through Gt bank,but up till now Gt bank has not send me bvn no, they only debit me the money i deposited and said no bvn no with-drawer. what should i do? There are two ways to resolution of this issue. 1. Either you go back to where you were profiled for the national ID card and effect correction of name by removing the third name that appears on the ID card as it’s not on your BVN. It’s doable, you will have to pay N657.50 via Remita for this change to be effected. 2. You may have to go to court and get an affidavit for name correction, this affidavit will contain your name as you now want to be addressed, with respect to your name on the ID card as well. That’s to say, the name on the court affidavit should be the same with that on your ID card. Having done this, proceed to Gtbank, give it to them, they should be able to correct your account name but this is after you might have gone to Ecobank for your BVN update and name correction. Hope that helps? Note: You can only change or correct your name on national ID card by paying N657.50 being Remita fee. To change or correct your name on BVN or account has a different process flow which you can find from the above guide. In a nut shell, you can correct your name on national ID card without going to court. good evening sir,I opened an account with first Bank in 2015 with the wrong date of birth,please how can I correct my date of birth? It’s nice having you here. You’ll have to get an affidavit for date of birth correction. Kindly go to court and demand to have an affidavit for date of birth correction. Give them the correct date of birth, having obtained the affidavit you will have to visit your bank with it to enable them regularize your date of birth in their record, that’s all. Good morning sir, my BVN carries Zuberu isah Abdulkaim but my name on my documents is Zuberu Abdulkarim.. i did all the requirements and i could not enjoy my banking with fist bank what do i do? Thanks. Trust I met you well? If I understand you well, your ID card and other documents have two names suggestively first and last name. But your BVN has three names with a middle name inclusive, and the bank had refused you banking access to this regard. 1. If you haven’t had a national ID card before now, kindly go and get one at any nearest GTBank or local government near you, I mean NIMS…This ID card should bear your three names as contained in your BVN. Only then can the bank attain to you. 2. The second option is you may have to apply for name correction through affidavit. This simply means that you’ll go to a court of competent jurisdiction and seek affidavit on name correction, on your affidavit use the the three names on your BVN….. But I however doubt if the bank will honor this because the third name is missing on your ID. So for this purpose, option number 1 is your sure bet. You can only be added as a signatory to that account. First you will need an ID card that bears Lydia David. Then get a court affidavit bearing Lydia David, publish your name change on a national daily of your choice. Having done the above, proceed to the bank with your affidavit, a copy of the newspaper and your new ID card bearing Lydia David . Note: It has to be a primary ID card example: Voter card (PVC), National ID card, Driver’s license or International passport. With this, you will have your name change/corrected in less than 24 hours. Good evening sir, please i have an account bearing the name HABILA BALA all my document i bearing HABILA BALA. personal vote card bearing HABILA BALA. my bvn name TSOKEN MIKKY. i provided the required document namely newspaper publication, court affidavit and valid identity card bearing HABILA BALA. PVC the are still insisting that i cannot change two name at once please help me help me. Your case is a very technical one. The bank will not oblige the request. You can however enquire if you can add that your second detail as a signatory to the account, who knows they might just honour it.